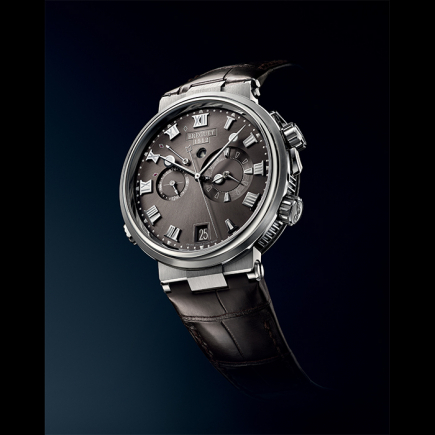 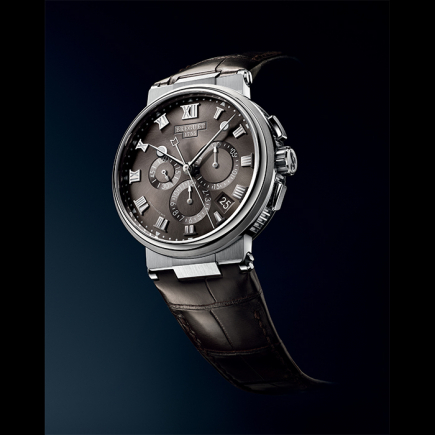 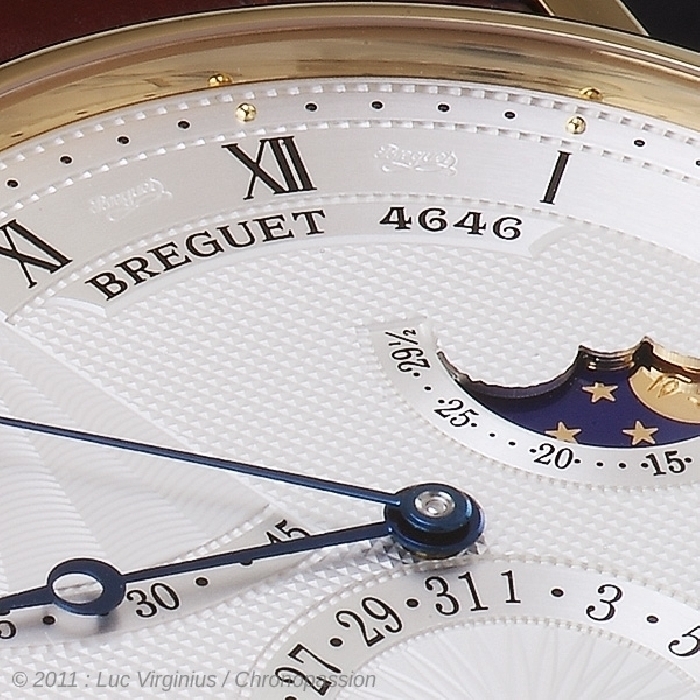 breguet | 34'700 € Tax inc.
Uncommonly elegant, the Breguet 7137 watch brilliantly expresses a style unswayed by time. 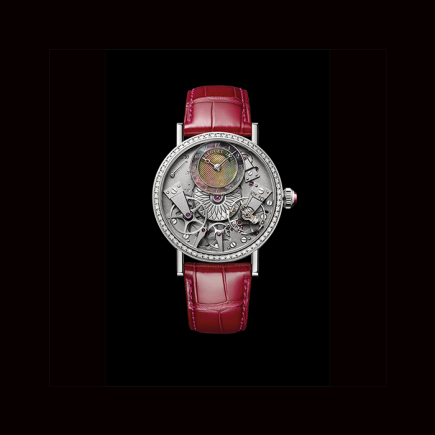 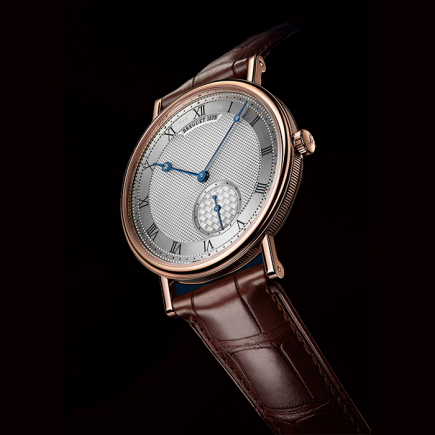 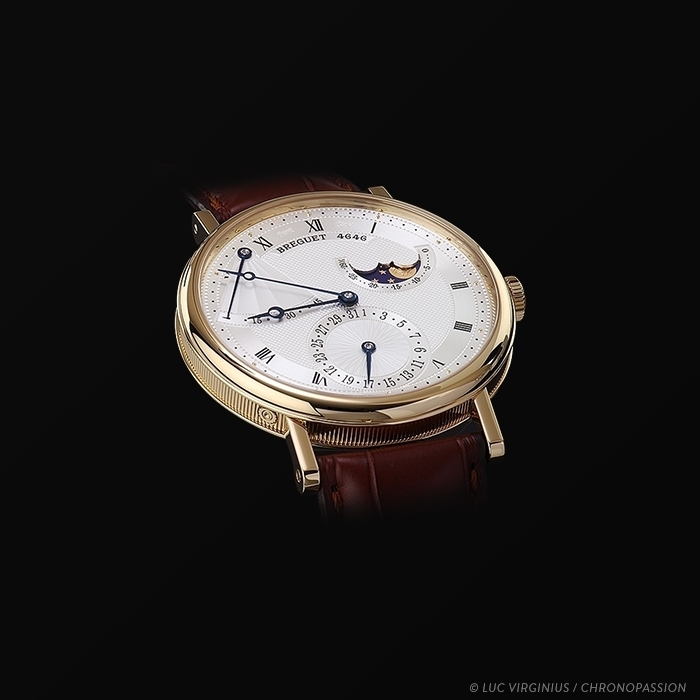 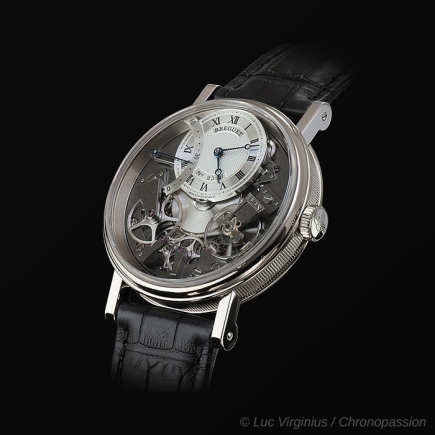 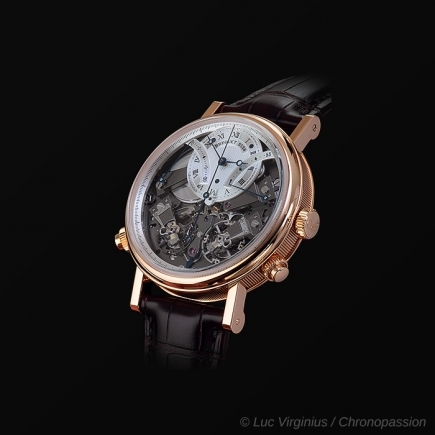 It displays the attributes of the brand with studied delicacy, giving pride of place to the work of the master engine-turner, and it is directly inspired by a Breguet icon, the celebrated watch n°5, delivered in 1794 to Count Journiac St. Méard and bought by Nicolas G. Hayek for the Breguet Museum. 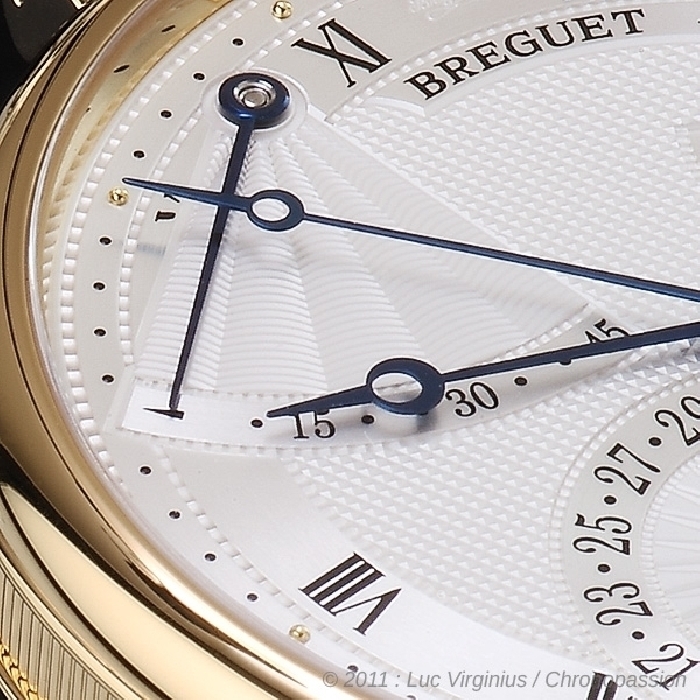 Breguet’s renowned extra-thin self-winding movement activates the different functions on a silvered gold dial engine -turned by hand. 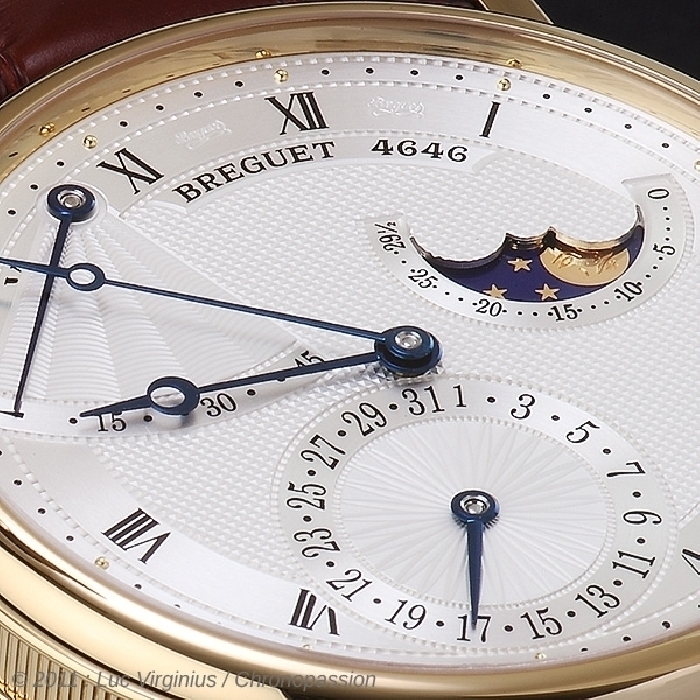 The phases of the moon at 2 o'clock counterbalance the power-reserve indicator located at 10 o'clock; the date is at 6 o'clock, and the central hours and minutes track the circular path of the Breguet hands in blued steel with openworked tips. 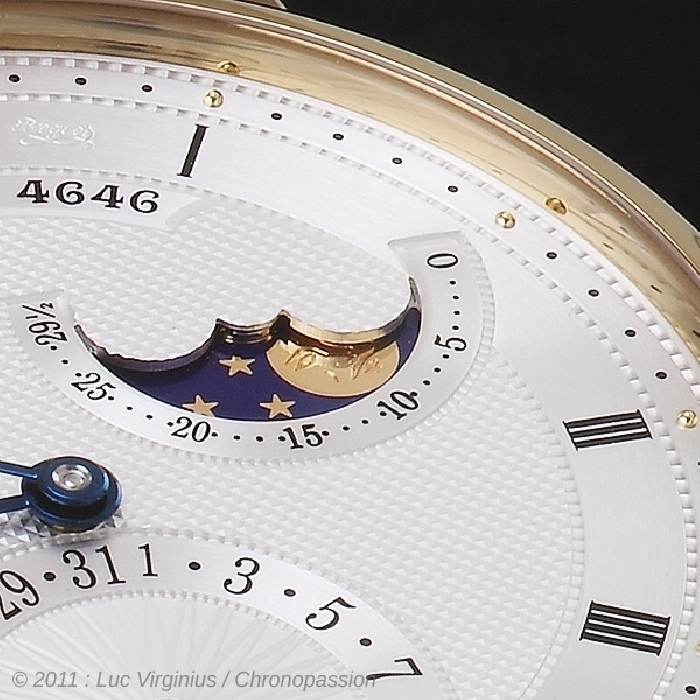 The decorations illuminate the display of time. 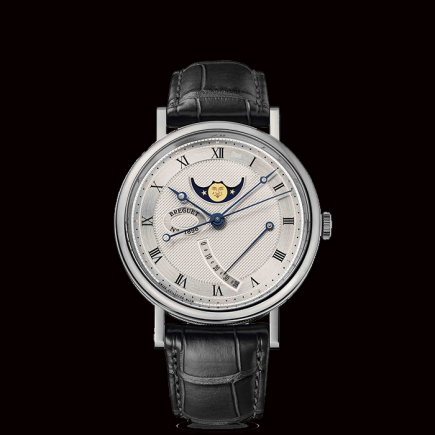 While the face dons the traditional engine - turned hobnail pattern, the dates enhance their appearance with a sunburst motif in which each ray points to a date. 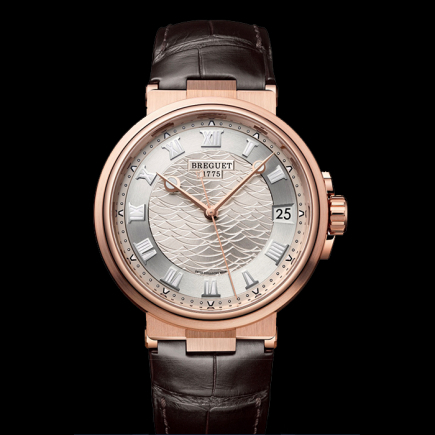 The 45-hour power-reserve indicator for its part ripples in the light of a flinqué decoration. 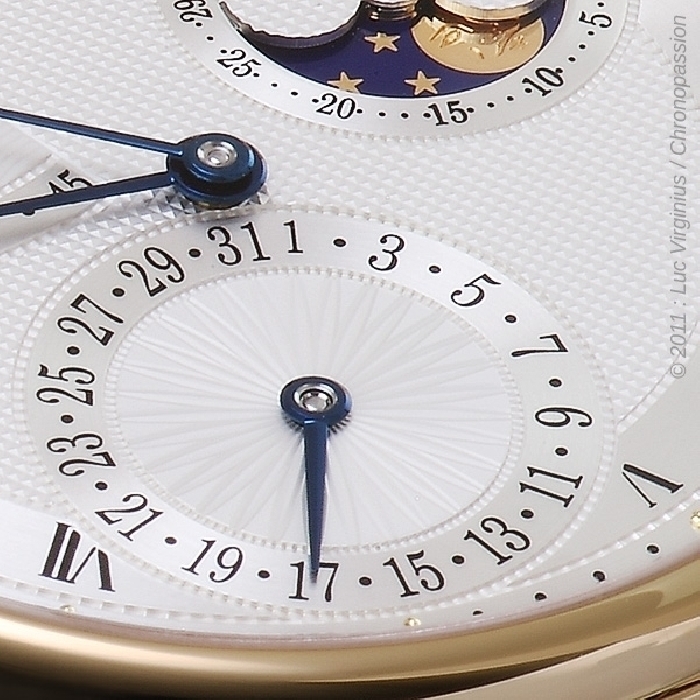 The hand-engraved mechanism reveals its intricacy through the sapphire-crystal back of the case, which is available in yellow (or white gold).